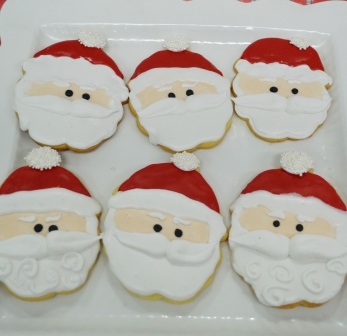 Lovingly handcrafted Christmas cookies perfect for family, friends and Santa! These cookies are individually wrapped sugar cookies (10 cm X 8 cm) decorated with colored royal icing. They keep well in an air-tight container. Available throughout the holidays. Please place order at least 48 hours in advance.